Larry the lovable monster from Don’t Push the Button! is back with another hilarious, interactive adventure! Okay, okay. You can touch, but you can only use ONE finger. Whoa. How’d you do that? Larry is a loveable monster, but he has trouble sharing. It’s up to you to show him how it’s done! 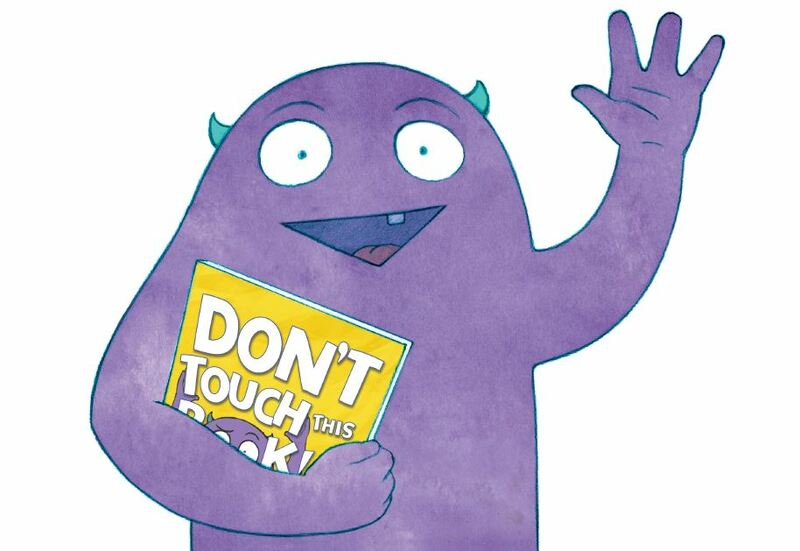 Well I for one am so glad to see our favorite little purple monster Larry back even with all his rules, because sometimes some rules are meant to be broken and Larry is really good at breaking his own rules and letting you break them too. Larry as we all know is not a great sharer but maybe it will be okay if you just set your finger right...here and then as is prone to happen with our good friend Larry things start to take a turn into adventure and fun. 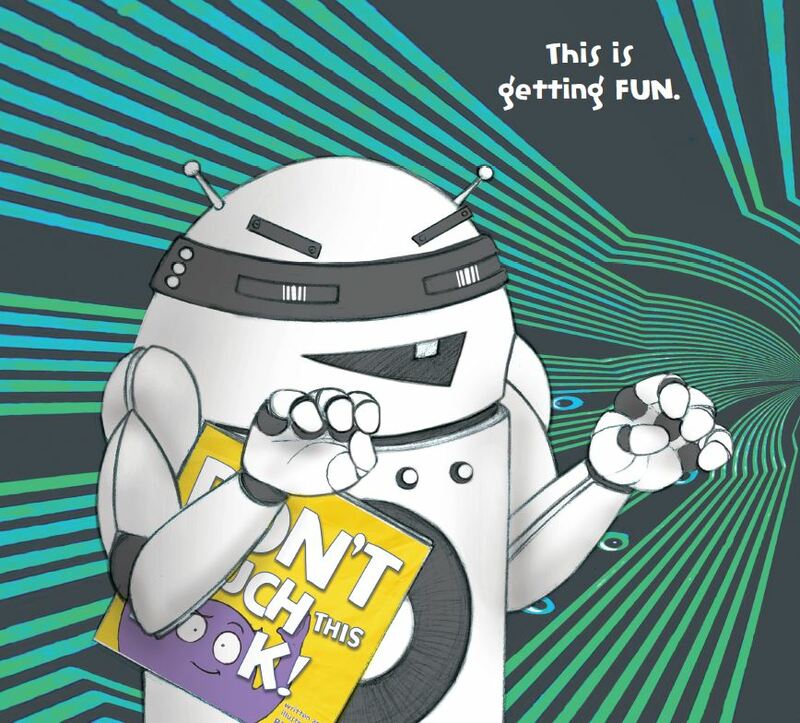 I loved how one little touch turns into an interactive, fun, and laughter filled adventure for the reader. One minute your laying your finger gently on Larry's book because he says thats okay but nothing else and the next you are roaring like a dinosaur and then taking to the skies. Pre-K/Kindergarten teachers library. What a fun break for circle time, giving your class a chance to giggle and play and learn the joy of sharing, especially the sharing of books. Don't Touch This Book is also a wonderful addition to any home library. It will keep your youngest children entertained, it's simple words will allow your early readers the ability to read it on their own, (and they will want to because it's so fun) it will even catch the interest of your older readers and have them sitting down with their siblings to participate...better yet read the book to them! 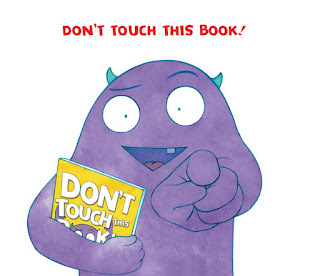 This book for various reasons, it's a picture book, it's a touch book, it's an active book, is best read in it's hardback format. If you are a fan of Adam Leahaupt's Warning: Do Not Open This Book, or B.J. Novak's The Book With No Pictures you will throughly enjoy this one. I can not recommend this one enough to any elementary teacher, you and your class will not be disappointed! 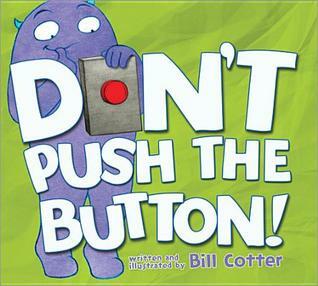 If you loved Larry as much as we do don't miss his first book, Don't Push the Button! Bill Cotter grew up in Rocky River, Ohio. 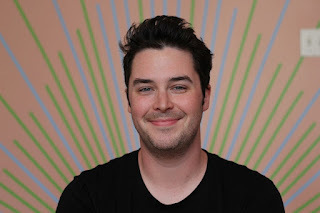 After graduating from art school, he moved to New York City, and worked as a Pre-K art and music teacher in Manhattan. Bill currently lives in Baltimore, Maryland, where he spends days doodling and hanging out with his basset hound named Goober. This reminds me of my favorite book that I read to my daughters - There's A Monster At The End Of This Book with Grover.